Sometimes the best teachers are the learners themselves. They have the power to offer constructive criticism and valuable input to their peers. In the process, they expand their own understanding and build essential skills. In this article, I’ll share 7 tips for tracking peer-based feedback in your eLearning course. Every online learner has their own strengths and talents, which makes them a valuable source of personal knowledge. And you can tap into this by integrating peer-based feedback into your eLearning course design. But how do you track this information exchange in order to evaluate online learner progress and identify performance gaps? Here are the 7 top tips to monitor peer-based feedback in eLearning. eLearning forums give online learners a place to share their ideas, opinions, and input. They have the opportunity to upload their eLearning assignments and receive valuable feedback from their peers. Since all comments are public, eLearning professionals are able to monitor ongoing online discussions and identify areas for improvement. As an example, many of the comments draw attention to the fact that the online learner omitted key facts. This indicates that the online learner has personal knowledge gaps or that you may need to modify the eLearning content. It's wise to periodically check forum posts to look for trends and patterns. For instance, issues that keep popping up in the message threads or common skill gaps. Many eLearning professionals use blogs to keep their online learners informed. However, they also serve as great feedback tools. Online learners can post their assignments or ideas and their peers are able to offer their input. This allows you to monitor all of the comments left by online learners and leave constructive criticism of your own. For example, recommending additional online resources that can help online learners achieve their goals. Blogs also help you steer feedback in the right direction, as you’re able to create posts that are topic-centered. One of the most effective ways to track peer-based feedback is to ask for it directly. Assign eLearning projects as you normally would, then encourage online learners to review each other's content. Create surveys, online questionnaires, and polls that cover the important aspects of the eLearning project. Ask online learners to fill out the survey for each eLearning assignment that they review and upload it to the LMS. Most Learning Management Systems feature built-in analytics that allow you to track poll results. Thus, you can track peer-based feedback for every online learner in the form of charts, graphs, and stats. You are also able to share the information with the online learner in question so that they can improve learning behaviors. For example, access supplemental eLearning activities and resources to enhance their understanding of the topic. This is a variation of the last peer-based feedback technique, except it involves online collaboration. Instead of individual eLearning assignments, you create group collaboration online projects that involve collaboratively problem solving. Throughout the eLearning activity online learners should take notes on how their peers are performing. For instance, how they interact with their other members of the group and the quality of their work. Define expectations beforehand so that everyone knows what to look for and how they will be evaluated. After they wrap up the eLearning project, online learners have the opportunity to share their evaluations or view the compiled data. You can use your LMS analytics for this technique to generate an overview for each online learner. This is a highly interactive and social method for tracking peer-based feedback. Schedule weekly or monthly webinars and send out invites. Email a list of eLearning activities or assignments that online learners must complete before the eLearning event. You should also include a list of topics that you'll cover and some basic ground rules. For instance, online learners must upload 5 examples of their work at least a week prior to the webinar. Likewise, they have to review the work of 5 of their peers and make a note of their strengths and weaknesses. These will be the talking points during the eLearning event. They can share their opinions and exchange ideas freely, with you serving as a moderator. Keep in mind that some online learners may be uncomfortable with public feedback. So, only invite individuals who can handle the constructive criticism and let them know what's in store. Closed social media groups are more personal feedback platforms. Online learners are welcome to upload their assignments and ask for input, without having to worry about public exposure. Facebook, Google, and LinkedIn are the most popular social media sites that feature private groups. As long as you're a member of the group, you can track their feedback and provide your own. This is also a great place to poll your online learners so that you can improve your eLearning course and identify problem areas. You can always make the group public if online learners are comfortable sharing with the masses and require more feedback. 7. Identify Your Primary Learning Objectives. Before you use any of these eLearning evaluation methods you should identify your primary learning objectives. In other words, what information do you require and which problems do you need to resolve? This allows you to narrow your search and look for specific eLearning feedback, such as using keywords to find certain comments. In addition, you should consider an evaluation rubric that facilitate the feedback process. For instance, what online learners should pay attention to when they're assessing work and examples of constructive criticism versus rude comments. Everything relies of honesty, mutual respect, and open communication. Peer-based feedback can be used in any eLearning strategy, as long as online learners are willing to give and receive. You can use these 7 tips to ensure that everyone is actively participating and bringing something valuable to the eLearning experience. This gives you the opportunity to intervene, when necessary, and improve your collaborative approach. Are you looking for ways to make your online discussions more meaningful? 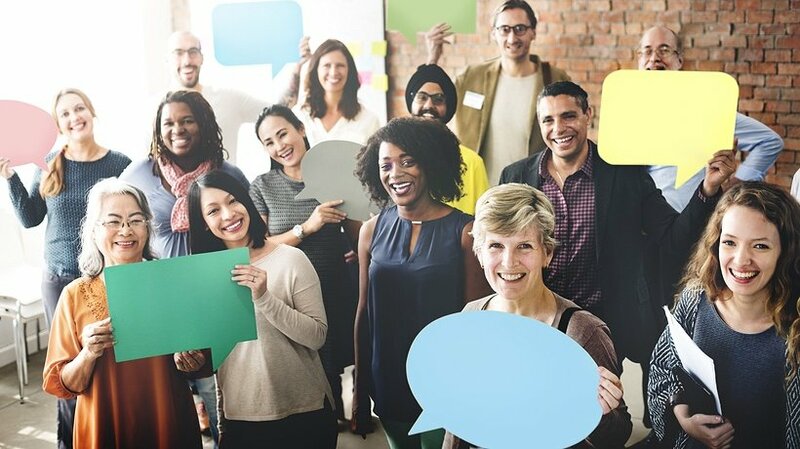 Read the article 8 Ways To Facilitate Meaningful Online Discussions In eLearning to discover how to spark meaningful online discussions and keep the flame burning bright in your eLearning course.